Kat is our tour coordinator and will be your main contact for information about most everything involving our tours. Kat’s experience in the travel & tourism industry is vast – she spent 3 years working as a travel consultant for a San Diego-based travel store that specialized in independent European travel. She also has more than 10 years experience with Marriott Hotels at four different properties and in nearly every department including front desk, concierge, reservations, transportation, room service and housekeeping. 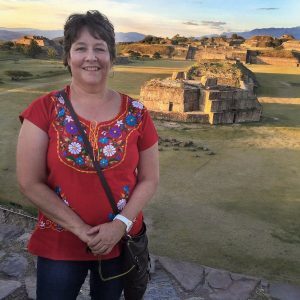 She has traveled to Europe several times and has been a particpant on three JCPT trips so far – to Guatemala and Oaxaca, Mexico with Jim and to the Philippines with Karl. Kat is also an award-winning photographer with a passion for color and the unconventional. In addition to her work with us, she does occasional freelance work for a local newspaper covering sports, community events and breaking news. She loves “iPhoneography” and these days uses her iPhone as much as her DSLR to create her images. She is passionate about sharing photography with others and offers public and private lessons on how to “see” and create better photos no matter what the equipment one may have at their disposal. Kat has a Bachelor of Art in Studio Arts from San Diego State University. Her work can be seen at www.seethingsdifferently.com.